A Day Sailer is for racing; a Day Sailer is, quite naturally, for day sailing. But we think it is also for fleet sails, long or short, large company or small; for shared year 'round fun. A Day Sailer is durable, stable and seaworthy, easy to trailer and easy to rig, launch & sail. 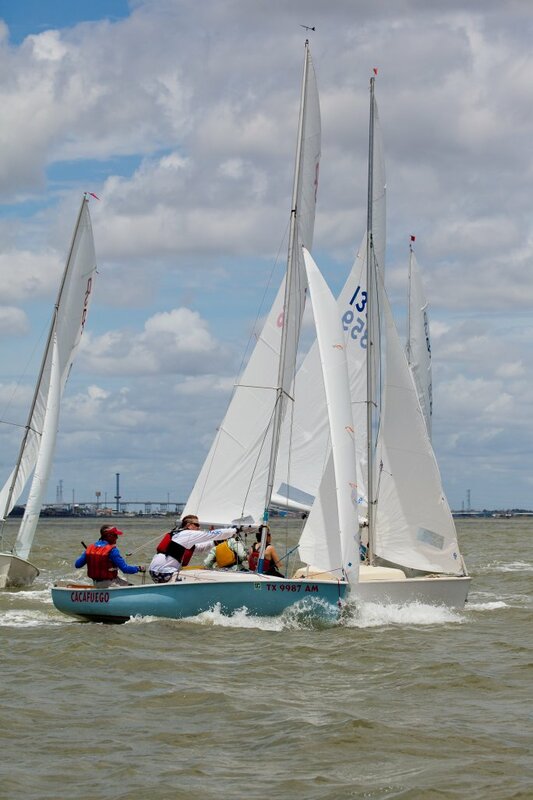 The Day Sailer Association is a very family oriented class association that believes an important part of the fun in sailing is the comradery between skipper and crew in a fast but comfortable boat. Over 50 Day Sailer fleets have formed across North America, so it's likely a Day Sailer fleet is close to you. and the choices you can make about the way your information is collected and used at our site. No refunds are provided under any circumstances. You provide specific personal information during the purchase of membership into the Day Sailer Association. This information includes (but is not limited to): your name, address, e-mail address, telephone number and payment information, as well as sail number and related sailing information. to respond to your inquiries and to notify you about the status of your order. and other related news to you. DSA will share your information with US Sailing, that national governing body of sailboat racing. The non-personal information gathered may be used to improve the design and content of our site and in the aggregate to analyze site usage. inquiry from our merchant bank about your payment for goods and/or services. We will not sell or transfer personally identifiable information provided to us. Forum posts and photos are copyrighted by their respective authors. Everything else copyright © 2015 by the Day Sailer Association. Contact webmaster.